A ‘hidden influence’ is a term which has been bandied around a lot these days. From discussing global politics to the power which social media may have over our personal opinions, it’s rather scary. Without any noticeable traits, something could be working behind the scenes. It could be parasitical, sitting within us and controlling the way through which we shape our day. It’s so ingrained within us and we can’t do anything about it. So we go on, never questioning it. We obey it. It is our reality. Just like the human body, football is a living organism. It’s a very complicated one, actually. It’s no less susceptible to being manipulated. It brings billions of people together, and it survives through our input. From playing for Barcelona, or just casually noticing Accrington Stanley’s results in the newspaper each week, we determine how football survives. But in the modern day, do we really know what has shaped the game into its current state of being? People can point to the Cambridge Rules of 1848 as the origin of association football. They can say how Hungary’s ‘Golden Team’ of the 1950s shattered England’s delusional long-ball dependency. All the same, what about the unnoticeable elements operating within the game? In this article, I will show how from 2004-08, Portugal held a considerable responsibility for how European football evolved. “For me, to do it with my country means more,” José Mourinho reflected on his astonishing and unlikely 2004 Champions League final victory with FC Porto. “It means more because it was something fantastic. It was unfortunate that Portugal, Porto, couldn’t keep us… After that victory, I left, Deco left… Everybody was leaving the country and the team disappeared.” Whilst they should have been celebrating a historic triumph, Portugal, as Mourinho alludes, was sweating over a footballing crisis. 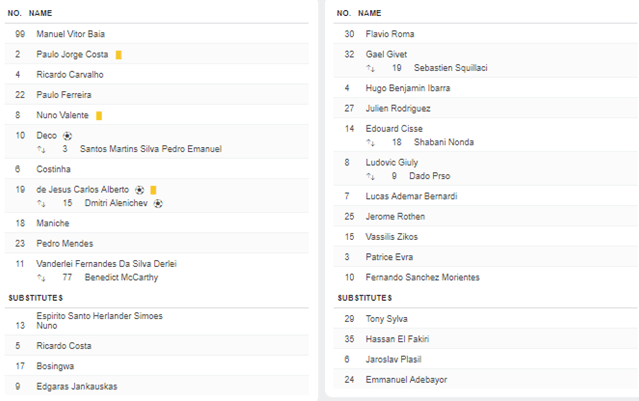 FC Porto vs. AS Monaco – European Champions League final – 26 May 2004 – team sheets and events. Porto would win the game 3-0. Courtesy of espn.co.uk. Just over a month earlier, on 20 April 2004, after a year-long investigation codenamed Apito Dourado (Golden Whistle), Portuguese police arrested 16 individuals on domestic match-fixing charges. This was not just the actions of individual players and an outside, criminal syndicate, however. At least three of those arrested held senior positions within Portugal’s footballing administration. President of the Portuguese League for Professional Football (LPFP), Valentim Loureiro; chairman of the Referees’ Committee José Antonio Pinto de Sousa; and, Porto president, Jorge Nuno Pinto da Costa, were all arrested. After four years of uncertainty, criminal verdicts were finally reached concerning the outcome of three games. In the meantime, a 2006 autobiography by Pinto da Costa’s former girlfriend, which detailed explicit references to corruption, was published; former-Primeira Liga referee, Jacinto Paixão released a video explaining how he was offered escorts and holidays to favour Porto; and various incriminating wire-taps had been made public. Despite all of this, the three key defendants received only suspended jail time. An internal, civil investigation was later opened by the LPFP called Apito Final (Final Whistle), to supposedly find justice on the field. Ultimately, a six-point deduction was so punitive for Porto that they didn’t even appeal it. They were allowed to compete in the 2008/09 Champions League without repercussions. Pinto da Costa later appealed a two-year ban from the LPFP successfully. It could be argued that the corruption investigations didn’t hold much sway over European football. Absurdly, it is in its limited reach that its significance was felt, however. This was the dawning of a new age of corruption. The aftermath of the scandal only reinforced the view within Portugal that os três grandes could get away with anything. Porto, Benfica and Sporting Lisbon appeared above the law, or at the very least, shielded from it. As Andy Brassell has pointed out, whilst clubs such as Boavista were subjected to harsh penalties, including relegation, Porto received a minimal slap on the wrists. Even this was later rescinded. Similar accusations of leniency levelled at UEFA over their treatment of Manchester City and Paris Saint-Germain suddenly sound familiar. The current cynical age of the ‘money talks’ brigade could arguably trace its modern roots to Europe’s most south-westerly nation. Furthermore, in the following years, we saw the Bundesliga corruption saga in 2005, the Italian Calciopoli affair in 2006 and, more recently, FIFA being raided by the FBI. Trying to understand whether each of these scandals were interlinked would require a full national security service payroll. Yet, it’s interesting to meditate on. 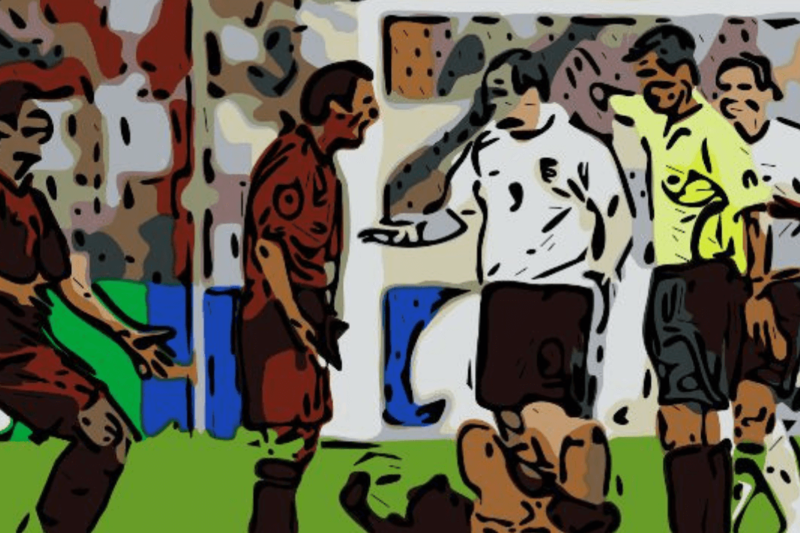 Whilst high-stakes football will always attract corruption, the scandal which broke out in Portugal between 2004-08 set the tone for the rest of the decade. For a substantial part of the 20th century, Portugal’s football was relatively closed off. Ben Shave has stated that the reactionary Salazar regime, which ruled Portugal from 1932-68, prevented Portuguese talent from migrating abroad. Success could only be achieved under a patriotic, popular banner. For instance, Benfica wowed Europe during the 1960s. Béla Guttmann’s stable of youngsters won two consecutive European Cups in 1961 and 1962. They then reached three further finals in the decade, losing each. Eusébio dazzled the English with his masterful displays at the 1966 World Cup, boosting the fledgeling national team’s reputation. Between 2004-08 though, Portugal exported two particular talents who have redefined the game. Cristiano Ronaldo’s rise from a 17-year-old with frosted tips and that hideous faux-tartan jumper, to a global superstar, was meteoric. On the field, 2004-08 proved to be the making of Ronaldo. Eight major club honours with Manchester United were finally complemented by his first Ballon d’Or in 2008. In his autobiography, Sir Alex Ferguson described Ronaldo during this time as “the most gifted player I managed.” After leaving the Red Devils for Real Madrid in 2009, he has added more club and personal trophies. Off the field, however, Portugal’s influence can be felt through the soft power which Ronaldo has generated. On his transfer to Juventus at the beginning of the 2018/19 season, a new term emerged: ‘the Ronaldo effect’. Spanish sporting newspaper, Diario AS, demonstrated how following the signing of Ronaldo, the Italian giants gained over 1.1 million new Twitter followers within 24 hours. They also gained an extra 500,000 Facebook followers. Ronaldo was surely a shrewd acquisition not just for promoting on-field success, but for also boosting off-field coffers. He was certainly not the first celebrity footballer but the fascination with him seems more intense than any other. Cristiano Ronaldo’s career stats. Between 2003-09, the Portuguese was playing for Manchester United. He would then depart for Real Madrid. Courtesy of transfermarkt.co.uk. On the other side of the touchline, 2003/04 saw the continental emergence of the later self-appointed “Special One”. After famously beginning his career as Sir Bobby Robson’s interpreter at Sporting, Porto and Barcelona, José Mourinho has since become one of the games’ dominant personalities. 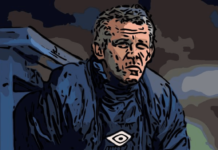 Including his native Portugal, he has managed in four different countries and whilst his legacy has been tainted in recent seasons, he has always seen success. Nonetheless, 2004-08 saw the mercurial coach enjoy one of the most fruitful periods of his career, collecting eight major honours. His remarkable 2004 Champions League victory with Porto led to successful spells with Chelsea (2004-07) and then Inter Milan (2008-10). At this stage, Mourinho’s dominance as the top young manager in the world was unchallenged. Similar to Ronaldo, his individual success was also widely recognised. The FIFA-affiliated International Federation of Football History & Statistics (IFFS) annually hands out a coach of the year award. Between 2004-08, Mourinho won the award twice (2003 & 2004) and finished as a runner-up once (2005). Mourinho has collected this award four times, more than any other coach, whilst also finishing as a runner up twice. Alongside Pep Guardiola, he is one of the greatest coaches of his generation. When he’s not growling at linesmen or chewing out journalists, Neil Warnock still ruminates on how his Sheffield United side were relegated at the close of the 2006-07 season. Warnock’s chosen vehicle for his frustration at the authorities that season was the controversial inclusion of Carlos Tevez and Javier Mascherano in relegation-rivals West Ham United’s side. Third-party ownership (TPO) had caused its first explosion in England. Under the terms of the contracts which West Ham signed with ‘super-agent’ Kia Joorabchian, the club had no option over Tevez and Mascherano’s future transfers. Rather, future movements would be dictated by Joorabchian’s management companies. Sports lawyer Daniel Geey has shown that as West Ham’s own decision making was compromised, Premier League rule V.20 was breached. Warnock, therefore, had valid grounds to raise questions over the legality of TPO. This rule was instituted to prevent third-parties from being able to “materially… influence its policies or the performance of its teams.” Whilst Warnock’s concerns were understandable, as The Guardian has argued, greater worries existed over the potential for match-fixing. As English football got to grips with the dangers of TPO, however, Portugal was the dominant force bringing it into Europe wholesale. Despite being a largely South American invention, Portugal’s importance in introducing the concept to Europe is fundamental. In their book, Sports Agents and Labour Markets: Evidence from World Football, Giambattista Rossi, Anna Semens and Jean François Brocard all point to Portugal’s importance as “the first European country to expressly adopt TPO as a regular development system for clubs in 2000.” This relied on the legal availability for Brazilian players to secure Portuguese citizenship. The scale of the practice was monumental and arguably the main method of conducting player transfers in Portugal for much of the 2000s. Alex Duff and Tariq Panja have described that pressure was high on Portuguese club presidents to attract top talent to retain their positions when faced with regular elections. Consequently, both Porto and Sporting subscribed to the First Portuguese SGPSS agency to drum up externally-derived transfer money. Benfica, on the other hand, formed their own similar fund. By 2004, between Porto and Sporting only, 38 players had been under third-party ownership, including Ronaldo. A range of fees were reported in his eventual transfer to the Premier League in 2003. Whatever the actual amount, it seems fair to say that only around a third of it went to Sporting, the rest was funnelled to investors. Likewise, many of Mourinho’s first signings for Chelsea from Porto were also under the management of third parties. Clubs only received a portion of final sale fees. Strangely coinciding with the decline of Portugal’s influence on European football, from 2008 TPO was forbidden in England. Since then individual national associations, as well as FIFA and UEFA, have stated their intention to outlaw the practice. Its status is still rather murky, as loopholes are inevitably being discovered and exploited. The period in question was a scandalous time, however, and TPOs uncertainties amplify Portugal’s indirect significance on the European game. My disappointment at England’s penalty demise in Euro 2004 was a young Portuguese lad’s delight. On home soil, Portugal fielded their soon-to-be-retiring ‘Golden Generation’. Figo, Rui Costa, Couto et al. This side ensured England’s penalty curse would continue, as they raced through the knockout stages. 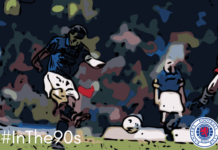 Against a heavily unfancied Greek team, the final was expected to be something of a rout. Despite sustained pressure, however, the Greeks saw through a 1-0 victory to complete their own fairy tale triumph. After finishing as a runner-up at their home Euro’s, they headed to Germany’s 2006 World Cup finals with enthusiasm. Without the expectant pressure to replicate success, the Portuguese were surprise contenders. Portugal broke English hearts and again advanced to the semi-finals. Here, despite edging out their French opponents in terms of possession and shots, they succumbed to a Zinedine Zidane penalty. They went on to lose 3-1 in the third-place playoff against the hosts, Germany. Two years passed and the Portuguese travelled to Austria and Switzerland for Euro 2008 full of optimism. With the 3-1 victory of the Czech Republic in the group being comprehensive, momentum had built inside the camp. “We played well in the first match and again here,” Ronaldo stated. “If we carry on like this, we have a good chance of winning the title.” Ultimately, Portugal would not lift the trophy. They crashed out 3-2 to the Germans in another tight quarter-final. Their four-year spell as one of the continent’s dominant sides had concluded. Portugal could look back with pride, however. In 68 games from 2004-08, Portugal lost only 14. Their win percentage was a respectable 54%. When compared to the other dominant European teams of the era: World Cup-winning Italy, 2008 European Champions Spain and respective finalists France and Germany, Portugal’s presence was much more consistent. Despite their run of success in major competitions (a final, a semi-final and a quarter-final), Portugal never reached a world ranking higher than 8th, but they only dropped as low as 11th in 2008. From the graph, we can see that from 2004-08, Portugal were rather consistent in terms of world rankings. Compared to their main European rivals, the Portuguese were a stable presence in all major competitions. Courtesy of fifa.com. In comparison, Italy’s unexpected World Cup win catapulted them from 12th to 2nd. They would then start another miserable decline, however. Likewise, by 2004 France were ranked 2nd in the world but the same period saw them face a sheer decline, falling to joint-11th in 2008. The two nations who would define the post-2008 era, Spain and then Germany, were conversely emerging from dark periods of their history. Spain’s dreadful 2006 World Cup saw them fall from 5th to 12th in the rankings. They soon recovered and from 2008 to 2013, they would rate as the top-ranked team in the world. Germany had a more linear leap in the period. Whilst in 2004 they tabled 19th in the world, by 2008 they were 2nd. They didn’t win anything in the period but Portugal were within touching distance of doing so. The emergence of their national team during this period as a near-immovable object and perennial barrier to England’s chances of striking gold can’t be overlooked. The Apito Dourado scandal that rocked Portuguese football was significant enough to write a whole article on itself. The fact is, the more you dig into the context surrounding the affair, the more coincidence materialises. In the same amount of time it took for punishments to be dished out for the scandal, Portugal had put itself firmly on the footballing map. Cristiano Ronaldo and José Mourinho had cemented themselves as two giants of the game; a contagion of obscure transfer dealings had become major talking points across Europe; and the national team remained a divisive, yet brilliant presence on the international scene. From 2004-08, Portugal was the ‘Wild West’ of the footballing world. During this period, off-field scandals matched success on the pitch. For these four years, a nation with a population of just over 10 million people led the footballing debate and shaped its future course. Their eventual European success in 2016 has been shaped as a surprise: they’d “done a Greece”. On the other hand, perhaps this was only what was due for a nation so embedded in the game a decade before? So, the next time you see Ronaldo skulking forwards on the ball, or hear a typical, ill-thought-out, Mourinho zinger: raise a glass of Port and chow down on a custard tart. It’s not always been pretty but Portugal were one of the ‘hidden influences’ of the modern game.